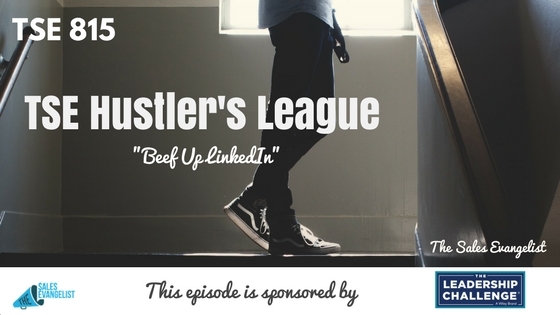 TSE 815: TSE Hustler's League-"Beef Up LinkedIn"
Your LinkedIn profile is free real estate. It’s your opportunity to communicate with your prospects, share your message, and provide value to your customers. Today on The Sales Evangelist, we’re discussing how to make yourself stand out on LinkedIn, and how to use LinkedIn for outreach. Your LinkedIn profile must be about you, but it must also be about your customer. If a prospect lands on my profile page, what things will he know about me immediately? Will your prospect know how you can help him succeed and what problems you can help him solve? Have you ever noticed that when you Google a topic, sometimes LinkedIn profiles appear in your results? Those profile owners understand how to use LinkedIn for outreach. When you effectively use keywords on your profile, you help prospects find you. Begin by brainstorming five words that your prospect might use when he’s searching for your services on the Internet. Use those five words in your LinkedIn bio. Use them throughout your profile, in your description and in your subheading. Utilize long tail keywords like “Arizona landscape services” to make your services stand out against all the others. Also include keywords in your specialties as well. On my own LinkedIn profile, I included information about a listener who used one of my techniques to reach an executive he hadn’t previously been able to reach. Along with that testimonial, I offered visitors a chance to message me with the subject line “simple step” if they wanted details for themselves. It provided an actionable step for prospects and it proved my effectiveness as a sales trainer. Constantly tweak your messaging. As your customers evolve and their needs evolve, change your messaging to communicate value to them. Tell them how you can help them solve problems. Pick up a copy of Stop Selling & Start Leading for information about how you can lead your customers to do business with you instead of simply selling to them. 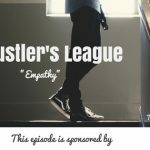 If this excerpt from The Sales Evangelist Hustler’s League was beneficial to you, check out our online group coaching program to discover how we can help you build more value. We’ll discuss how to convince customers to do business with you once they know you exist. 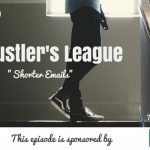 Tell other people about this podcast, especially the people you know whose profiles aren’t popping like they should be. Leave us a review wherever you listen to this content, and subscribe to the podcast if you haven’t already.